This was written in response to a friend’s expression of support for Obama, and refers to Obama’s desire to open negotiations with the leaders of Iran. I have heard comments such as these too many times and I have finally decided to write something about it and share it with my Jewish friends, and any others out there who feel that an Obama presidency would have negative consequences for the Jews of the world. First, let me clarify. Is Obama really saying that he wants to sit down and meet with the president of Iran? I’m not saying he is or he isn’t, but this statement seems to simplify Obama’s stated preference for diplomacy, to a mere talking point aimed at ridicule. I don’t believe that Obama wants to rush over to Iran and hold Ahmadinejad’s hand and say, “hey buddy, what’s all the fuss about?” I believe Obama primarily wants to restore dialog with Iran, just as we have and have had diplomatic relations with other dangerous nations (and individuals like Stalin). 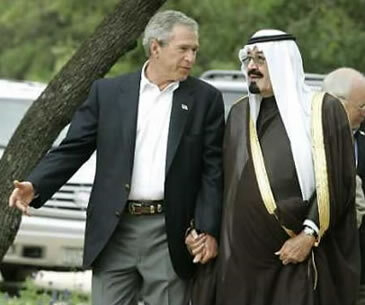 What Obama doesn’t want to do is to follow the Bush doctrine of Shock and Awe (and hold hands with people who directly or indirectly fund terrorism – Ahmadinejad and the Saudi royals included). Asking Iran to agree to anything ahead of time is similarly foolish. Iran is surrounded by nuclear powers. Iran has to show that it will be a nuclear power soon, an equal to others, and has to create the sense that it can defend itself against any aggression. If we want Iran to abandon its nuclear ambitions, then we need to get to a negotiating table, and make promises, such as condemning the nuclear ambitions of the entire neighborhood, and working to strip the area of nuke’ular (sorry, couldn’t resist) weapons. It really doesn’t help threatening Iran (with nukes!) – we’d just force Iran to compare and consider the fates of Iraq and N. Korea, the other two members of the Axis of Evil. Guess which one has WMDs and nukes? Now, the alternative to Obama using diplomacy with Iran is what, another war? After all, Ahmadinejad does want to wipe Israel off the planet, right? So we go after him and in the process kill a few hundred thousand a million Iranians? Iranians must hate Jews too, so it’s ok? Now, I am a bit confused. Since when is Iran an enemy of Jews? (Lets not forget that Iran was in no way involved with the Holocaust. Neither were Muslims. Now maybe Iran sounds like “Aryan”, but a little research will show that the similarity has nothing to do with Hitler’s notion of a super-race). Is someone making an allegation that Iranians hate Jews? Is it just some Iranians, or is it the entire Iranian population or ethnicity that hates? I know some Jews who hate Iranians. Is it fair to say that all Jews hate Iranians? No! Wait, you say, the president of Iran, claims that the Holocaust never occurred. That’s proof that Iranians are hateful, dangerous and deadly to Jews, you say. No, Ahmadinejad does not speak for all Iranians. Nor even a majority of Iranians. Just like Mel Gibson’s views aren’t representative of Christians, and McCain’s isn’t representative of the majority of the US when he sings “Bomb, bomb, bomb… bomb, bomb, Iran” to the tune of the famous Beach Boy’s song. Please understand, Ahmadinejad is a politician. A politician in a country where the masses are fed fear and half-truths. He’s a shrewd man, and he knows what got him elected and will keep him in power. What he knows is that the conservatives, who control the elections, are energized by one who puffs out hist chest and sticks out his tongue at America. By proxy, Israel also gets dissed, as Israel is looked upon as a staunch ally of the US. President Ahmadinejad may be extreme in some of his views, and I think it is safe to say most Iranians do not share them. The Supreme Leader has made it clear on a number of occasions, rarely reported in the Western media, that he disagrees. On Israel, for example, soon after Ahmadinejad first suggested, in 2005, that Israel would be “wiped off the map”, the Supreme Leader made a speech saying that Iran has not and would not be the first to start any war, and would not attack any country. That statement was intended to show that Iran wanted to play no part in Israel’s disappearance, regardless of the inflammatory rhetoric of the president. Now someone’s bound to say that Iranians hate Israel and Jews because of Palestine. Well, I have to break it to you all. If there is one group Iranians, who are mostly Shiites, may “hate”, it’s Sunnis. And Palestinians are Sunnis. If one truly believes that Iranians as a population, or as a government, care about the Palestinians, then they are mistaken (and I am talking about a kinship type of selfless caring, not a bleeding heart type of concern). In the eyes of much of the Middle East, the Palestinian issue is more about disdain for US and Western foreign policy, the accumulation of weapons by Israel, and projection/distraction of internal politics. I will even go further and say that the entire region, individually and at various times, has demonstrated that given the chance they would easily ignore, exploit or mistreat Palestinians. However, in an area where your power to govern may be challenged due to restrictive civil and human rights, or economic pressures, it is a lot easier to point to Israel and project all problems, than to try to stay in power by turning benevolent. It’s the old Orwellian tactic; the real enemy is there and we have to fight them – are you with us, or are you with them? Saudi Arabia does this, so does Iran, and so do Syria and others. Which brings me back to Ahmadinejad. He says these crazy things in order to keep an economically depressed and freedom-lacking country distracted. And the conservatives love it. (Funny how conservatives everywhere, universally like hate speech). Rewind 8 years to 2000. Iran was becoming moderate and electing moderates, as Clinton’s foreign policy had not threatened her. In reaction to Bush’s renewed threats and his “Axis of Evil” statement, Ahmadinejad was swept into office first as the mayor of the capital city and then as president,. Iranians don’t hate Jews. The Iranian government uses Israel as a way to maintain power and to disrespect the US. The Iranian people shouldn’t have to pay with their lives for that idle chatter. Another war is woefully mistaken, and will have negative consequences for the region, Israel, and for the US. Diplomacy, on the other hand, is cheap and there are many experts who think Iran, and the US, are ready for it (Even Nicholas Burns and now, Bush). Another notable article: “Iran made several attempts at diplomatic outreach towards the US in 2001, 2002 and 2003, but the Bush administration made the decision to rebuff and ignore these gestures and Iran quickly became an enemy of the Bush administration. One consequence of these decisions was the election of Mahmoud Ahmadinejad as President as the more moderate leadership in Iran was pushed aside.” The price of not negotiating. ~ by mz on October 26, 2008.